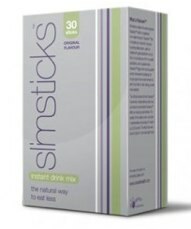 SlimSticks is a newly released dietary supplement from the renown Inovate Health company. 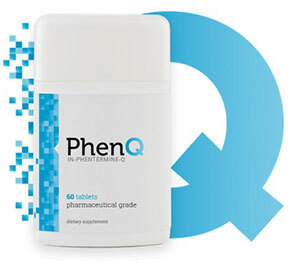 The manufacturer says that this supplement can be consumed along with a standard workout or dietary program. As a hunger suppressant, SlimSticks will supposedly enable you to reduce your quantity of consumed calories every day by approximately one third. If you currently are participating in a particular diet plan, the makers claim that, for each pound you get rid of every week, you can safely get rid of an extra pound using this product. Should not be confused with Slim Stix, a different product, although remarkably similar in philosophy. SlimSticks contains naturally formulated, fine oil droplets which are comprised of palm oil (dietary lipids) that are coated with galactolipids (made out of oat oil). It is easy to take. Just tip a 6 gram sachet into a small quantity of h2o or milk (50ml to 70ml). You could even put this product into cereal, smoothies, milkshakes, coffee or yoghurt. SlimSticks is purchasable from the product’s official internet site. Instructions for use say to take one sachet at breakfast and another sachet at lunch throughout the first 30 days. Once the 30 days is over, a single sachet during breakfast should do the trick. Former Big Brother contestant (UK version) and Welsh model, Imogen Thomas, has recently been in the Daily Mail newspaper (a popular British tabloid). Imogen has apparently gone down from a twelve dress size to a ten after taking SlimSticks. She claims that she could incorporate SlimSticks into her diet plan each day very easily, and that the product has effectively diminished her hunger cravings, without any need for her to forgo the food she enjoys. By putting a sachet into your cereals every morning, you will hardly know it is there and it can rapidly become a feature of your morning routine. Once you have taken another sachet after eating your lunch, you probably will start to appreciate how much more full you feel. Following seven days of consuming 2 sachets daily, many users have said that they can easily wait in-between meals without having to snack. Should not provoke any harmful reactions, so long as you take it in the way specified by the manufacturer. Reviews online by customers are not conclusive. The mix should only be consumed in the daytime and the effects it produces will not always carry on into the evenings. Therefore, SlimSticks may not be the most suitable product for people who make a habit of late night snacking. Nonetheless, if breakfast pastries and workplace junk food are your Achilles heel, then SlimSticks might well positively affect your weight loss attempts. Thus, because of the kind of product SlimSticks is, and because it can be consumed with lots of other diet supplements, it should not be completely dismissed. Does not appear to be available to buy over the counter in Australia. Purchases can be made from the official website. This entry was posted in Diet Drinks and tagged diet drink, Slimsticks, Slimsticks Australia, SlimSticks Priceline, Slimsticks review, SlimSticks Terry White. Bookmark the permalink.